We’re proud to update you on our 1 Million Strong implementation partners for teacher training – organizations that have committed to supporting and increasing teacher training for Mandarin language learning in the US. They, along with our curriculum and technology implementation partners, are helping us work toward our goal of seeing one million US K-12 students learning Mandarin by 2020. We have five partners involved in teacher training: NCSSFL, ACTFL, and the University of Maryland. The National Council of State Supervisors for Languages (NCSSFL) and the American Council on the Teaching of Foreign Languages (ACTFL) are nationally recognized leaders in providing support to pre-K to through college language educators, educational institutions and organizations, across the US and internationally. 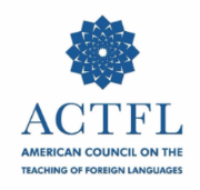 Both NCSSFL and ACTFL provide extensive cross-cultural and instructional professional development for language educators, including visiting international teachers, and ACTFL is the designated Specialized Professional Association for language educators aligned with the Council for the Accreditation of Educator Preparation. Combined, NCSSFL and ACTFL have a network of over 12,500 leaders and members as well as collaborations with Hanban, STARTALK, the College Board and other organizations. The University of Maryland’s Center for Chinese Language Teacher Certification and Development (CCLTCD) works with the world Languages Education of the College of Education to prepare Chinese language teachers of PK-12. It specializes in the training of Chinese language immersion teachers and connects Chinese language-specific education with broader areas of teaching excellence and pedagogy. We deeply appreciate our partners’ commitment to expanding teacher training – as well as curriculum development and access to technology – for Mandarin language, and look forward to making even more progress toward our 1 Million Strong goals. Our thanks go to NCSSFL, ACTFL, the University of Maryland, and all of our supporters and partners.